This week’s book is Marvels "Daredevil #7". This is a great book in what myself and Daniel Dean from Titan Games and Comics in Smyrna, Georgia, think is easily among the best new series to come out in 2011, superhero or otherwise. Dean said he believes this is the best "Daredevil" run (sequential issues of comic books with the same writer at the helm) in the past decade. This series started by building a challenging new context for Matt Murdock (also known as the book's titular superhero, Daredevil) and company to live in and is now carrying those contexts to their logical extremes. Writer Brian Michael Bendis outed Daredevil's secret identity. 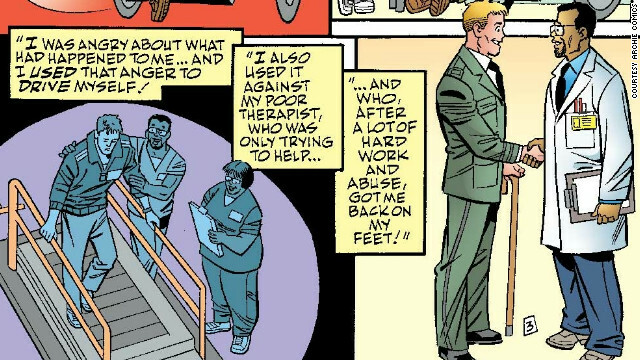 By the end of Bendis' run with the "Daredevil" title, Murdock was in jail, which was where writer Ed Brubaker picked the book up. 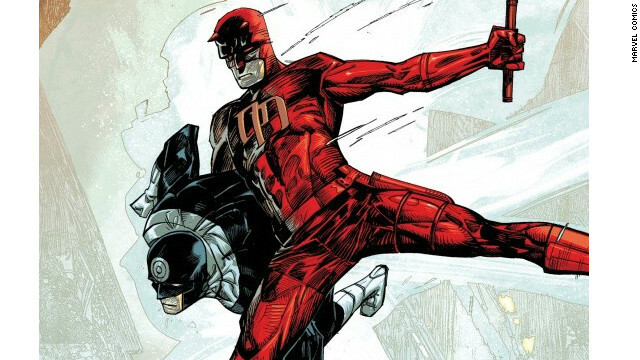 Brubaker's run shows Murdock losing much more than his freedom. Some bad decisions, and bad company, on Murdock's part led to his literal possession by a demon. In the wake of the havoc Murdock wreaked while possessed, writer Mark Waid ("Kingdom Come," "Superman: Birthright," "Marvel Comics' Captain America") and an A+ art team pick up the storytelling. One of Archie Comics' archetypal all-American teens is getting married – and it isn't to girl-next-door Betty Cooper or scheming sophisticate Veronica Lodge. A year after introducing Riverdale’s first gay character, Kevin Keller, Archie Comics is showing his marriage to an African-American physical therapist named Clay Walker. The issue with their wedding, "Life with Archie #16," debuts at comic book stores January 4 and newsstands January 10. It's part of a series that imagines the gang five or six years after graduation, with two alternate timelines – one in which Archie married Betty, another in which he married Veronica. Kevin's wedding appears as part of a story showing Archie and Betty's married life. Kevin Keller is shown to have followed in his Army father's footsteps – in images released to CNN, readers learn that he served in the military and was injured while serving in Iraq. He meets Dr. Clay Walker while in a hospital’s rehabilitation unit. 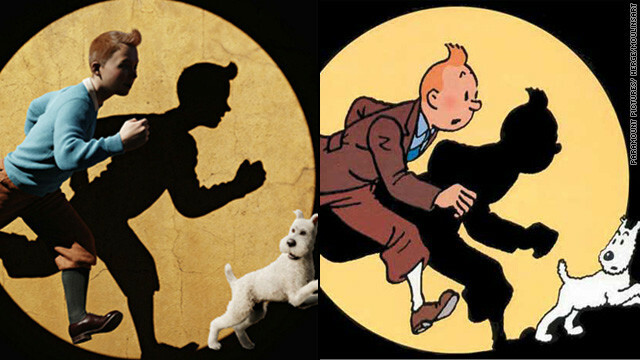 Clay helps Kevin regain his ability to walk, and the two become friends. But it's not until a chance meeting in an airport that they start dating. 'The Dark Knight' – with Cesar Romero? It's a classic scene from 2008's blockbuster film, "The Dark Knight." But this artist's rendering of it has something different. 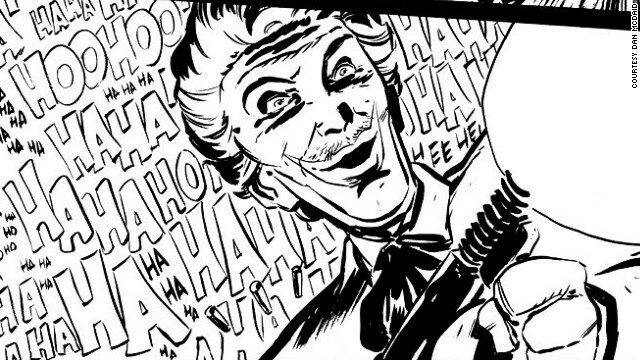 Is that Cesar Romero, the 1960s TV Joker (complete with mustache), instead of "The Dark Knight's" Heath Ledger? And Adam West and Burt Ward in the '60s Batcycle. This piece of artwork is the latest in a series of commissioned pieces of art posted at comic book writer-artist Dan McDaid's blog. McDaid, currently working on projects with Oni Press, is best known for his artwork on "Jersey Gods" and writing the UK "Doctor Who" strip. CNN Geek Out spoke with McDaid about his latest piece, which has gone viral among comic book fans online. Filed under: Comic Longbox • Squee! 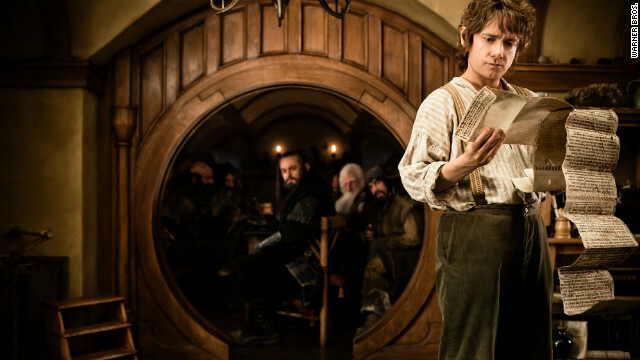 Joining December's movie trailer-palooza is a clip for the first film in Peter Jackson's "The Hobbit," which takes fans back to the Oscar-winning director's cinematic rendering of J.R.R. Tolkien's Middle-earth. "The Hobbit: An Unexpected Journey" takes place before the "Lord of the Rings" trilogy, and follows a young Bilbo Baggins' (Martin Freeman) on a mission to reclaim a treasure held by the dragon Smaug. The trailer not only introduces us to a young Baggins, but also a company of dwarves, led by Thorin Oakenshield (Richard Armitage). We're also reintroduced to Ian McKellen as Gandalf and Cate Blanchett as Galadriel. Before the two-and-a-half minute trailer is up, we're teased with a shot of Baggins encountering Gollum, as well as the One Ring.